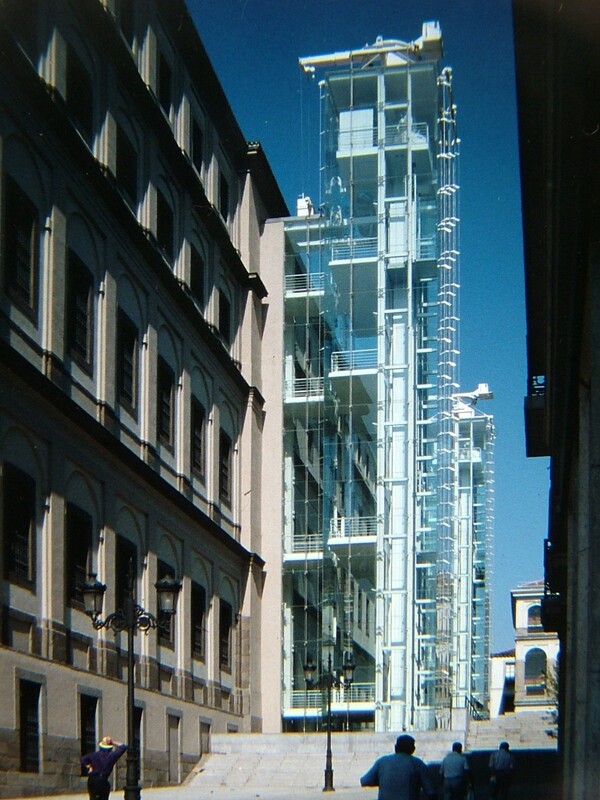 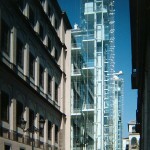 (Project director with IRA) Three glass towers provide public and service access to the restored 18th century building. 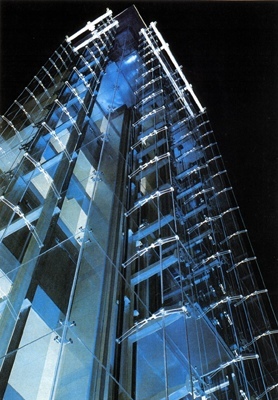 The entire glass envelope is suspended from roof level, and the stainless steel suspension system gives a legible articulation to the otherwise smooth glass skin. 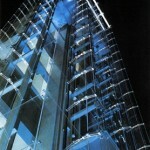 The spring-tensioned suspension system allows for accumulated seasonal thermal movements in the 36m height.